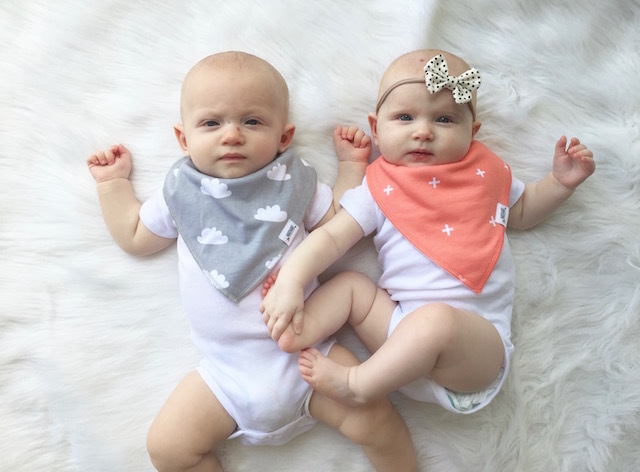 Walt and Whitney have been teething like crazy the past month and my love of bandana bibs has grown! For some reason I had not discovered these when Turner was a baby, but I'm now obsessed. 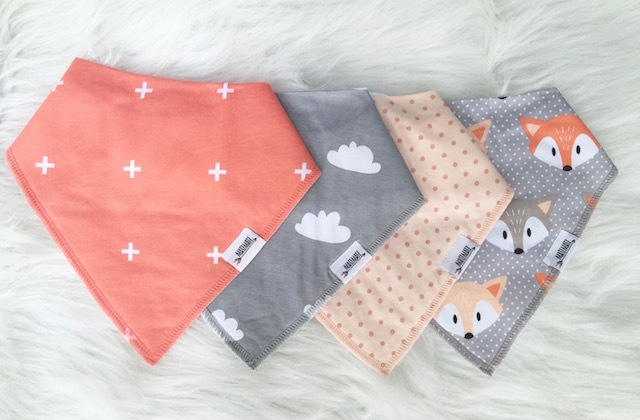 I had bought two 4-packs of Matimati bibs before the babies were born and I find myself going through them like crazy so I recently ordered 2 more packs. 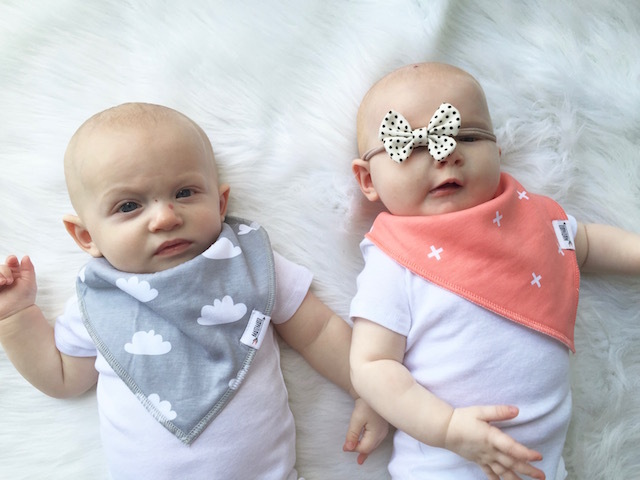 Adjustable Snaps: Each bib is made with 2 nickel-free snaps to provide different sizes as your baby grows. 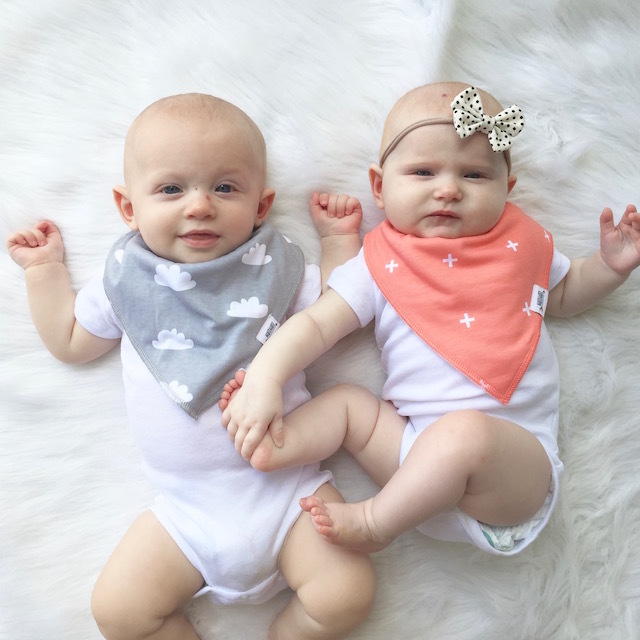 The snaps allow the bib to stay in place making it hard for babies to easily pull it off. 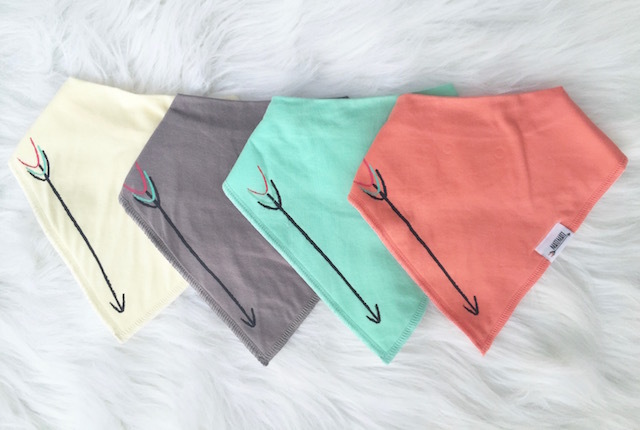 How cute are these patterns (Gray and Coral & Solid Arrow Mint)? 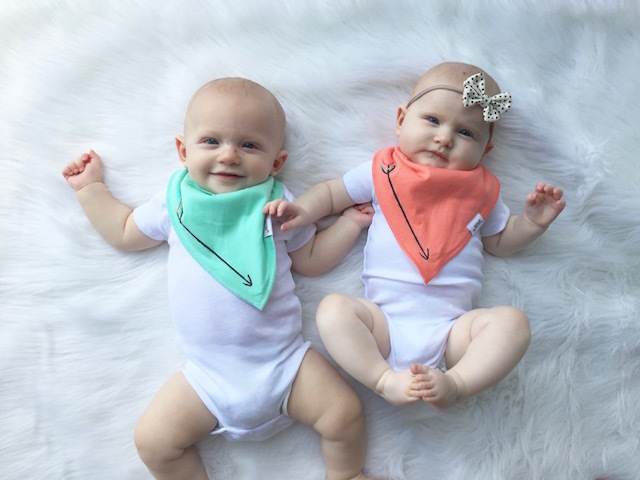 They are definitely slobbering in style! Check out more styles here.